A 'different' (and somewhat pricey) accessory here, but one which should be of interest to almost everyone who drives. 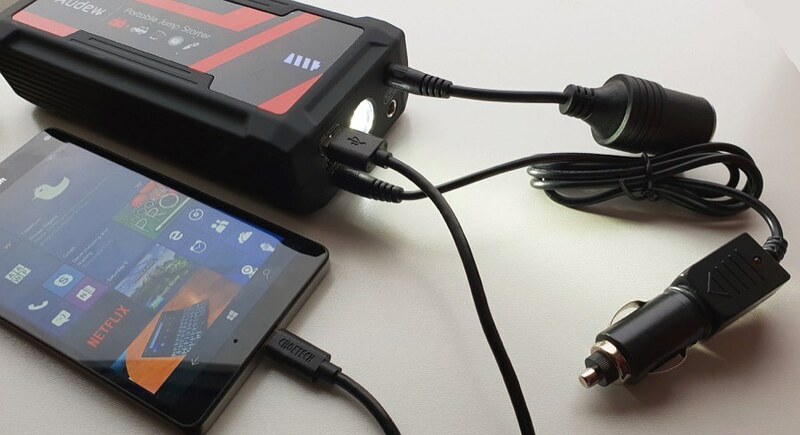 It's a dual port power bank for your smartphone and a powerful torch - that's also an emergency car starter. Up to 30 times over. It's well conceived overall, but the power bank side is poorly implemented. Worth a review, I thought. I should say upfront that this was supplied for review, i.e. I didn't have to fork out the £72 asking price. However, even if it's on the pricey side, there are good reasons for this and plenty to talk about as perhaps the ultimate in-car accessory for a smartphone enthusiast. Well... if it worked properly, at least. There are enough caveats here to make me advise caution, at the very least, especially in terms of the power bank functionality. The idea is sound though. A single huge battery brick (don't worry, this isn't something for carrying in a ruck sack, this is for leaving in the car) with its primary focus being to supply 800A at 15V (yes, you heard that right) for short periods, in order to help start your car when your main battery fails. I'll come to the smartphone side of things shortly, but first the obligatory main USP - starting a car. It's as simple as hooking up the supplied heavy duty croc clip leads to your car battery and turning the car's key (or pushing its Start button). 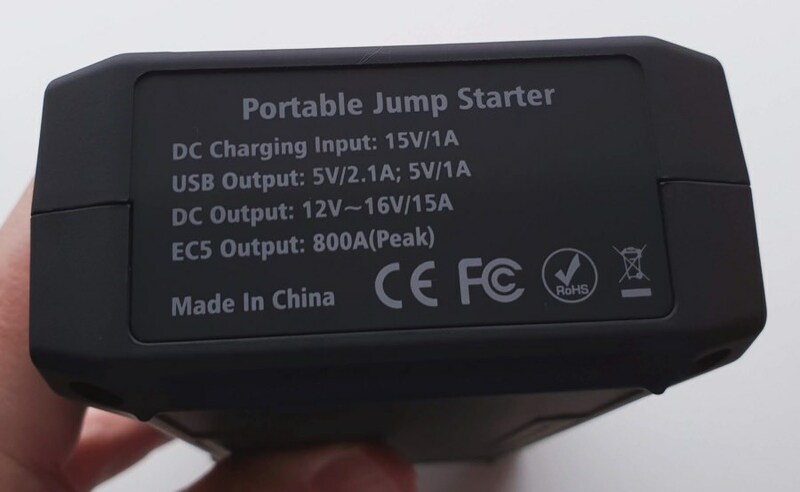 Note that this is a huge electrical shock to the Audew accessory and you're advised to disconnect it within 30 seconds, to prevent overheating. But, after a short period, you can try again if needed. The system works surprisingly well and, although battery failures are very rare on modern cars, it's comforting to have an accessory that can get you out of trouble if the worst happens. Charging my Lumia 950 XL just fine, with the two 12V leads inserted for illustrative purposes and with the torch turned on! In fact, there are two 12V output jacks, though as only one lead is supplied, I guess you'd have to find your own to do twin output here. 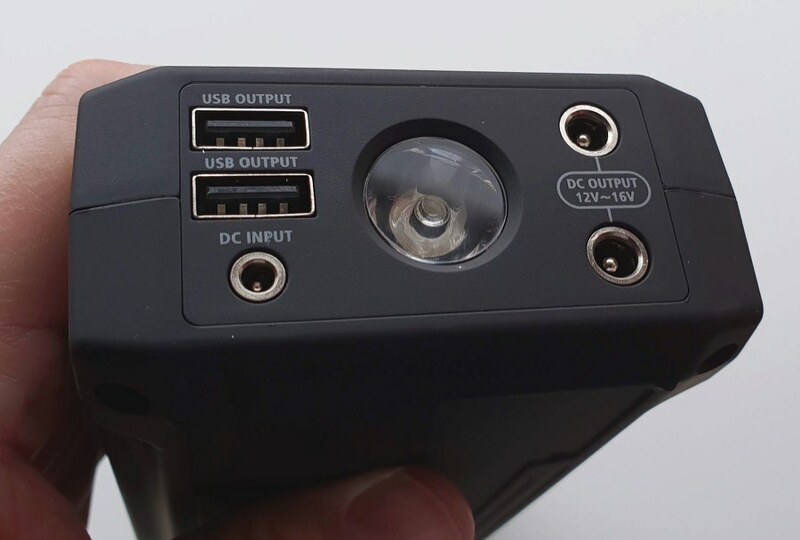 There are also two USB-A ports, somewhat confusingly referred to as different despite there being no markings on the hardware, one being higher current rated. Yet in my tests, both could supply the full 2.1A, so I'm not sure what's going on here. Muddying the waters further is that, despite the Audew unit's immense power, it seemed incapable of keeping USB output going on both ports at the same time, with any connected devices simply stopping charging after a few seconds. The solution is to treat this accessory as a single USB port power bank and only charge one thing at once - but it's an unnecessary restriction and a sign that not that much care and attention has been put into the USB side of things. Sadly. In brighter news (see what I'm doing here?) the built-in torch is excellent. Very bright and fine for working on the car (say) at night in an emergency situation. Or for walking to get help, perhaps. 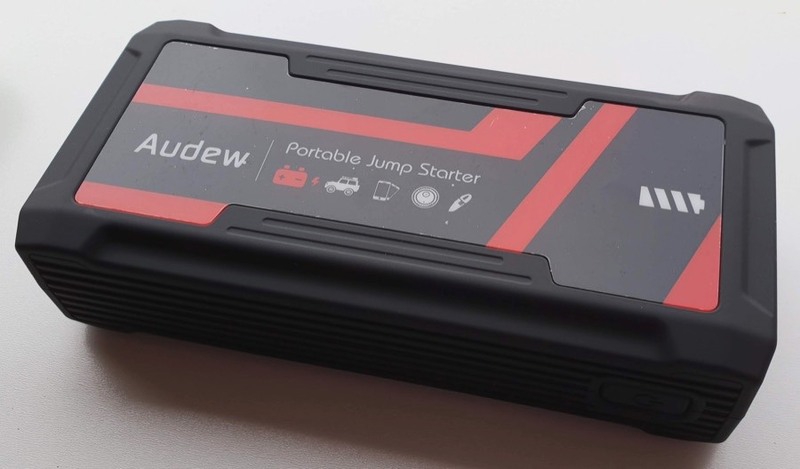 At the best part of £72 on Amazon UK, the Audew Jump Starter 16800 (mAh) power bank isn't cheap. Meaning that any caveats (like the less than stellar USB output) are notable and somewhat off-putting. I'd also like to highlight an issue of battery chemistry. The supplied review unit worked fine in terms of arriving with a good charge and topping up perfectly from 12V or 240V mains, but two previous 'sister' models arrived empty and broken, highlighting that such car starter packs don't use conventional Li-Ion chemistry - they have more heavy duty internals, designed to cope with that 800A at 15V, i.e. putting out 12kW for short spells. Again, I repeat, 12kW, from a small accessory! 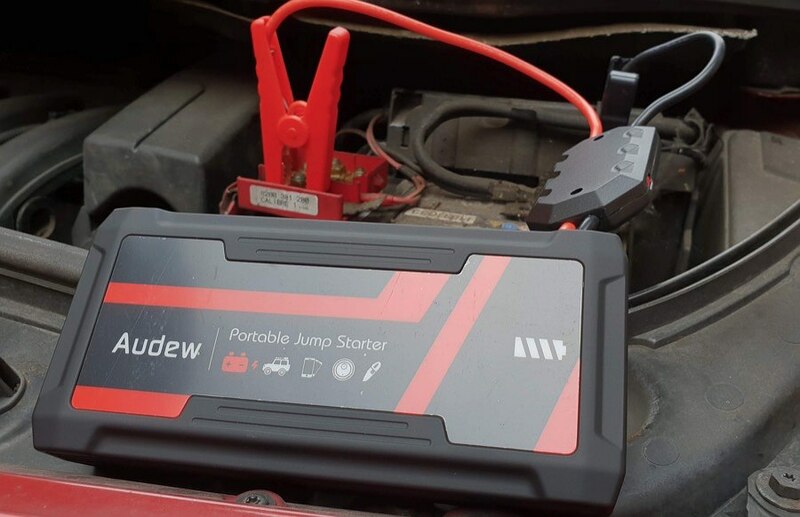 There's no way that Li-Ion cells, optimised for much smaller currents, can be used and as a result the Audew jump start power banks have chemistry that's not as reilient in terms of hanging onto charge for long periods. In real world use, you'd have to remember to top this up once a month or so. Just something else to bear in mind. But still a fascinating (if flawed) accessory which has earned a place in my car's boot locker.